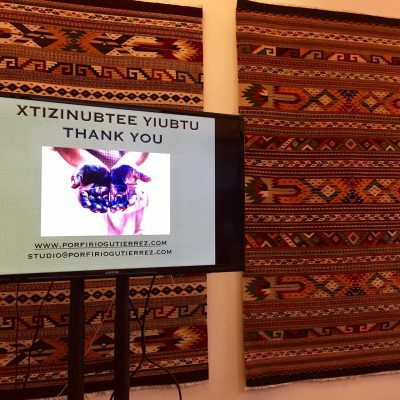 Porfirio Gutiérrez and his family are masters of traditional Zapotec weaving and the creative skills associated with their fine art. They have descended from centuries of weavers and have no reason to doubt that their ancestors were weaving in pre-Columbian times. 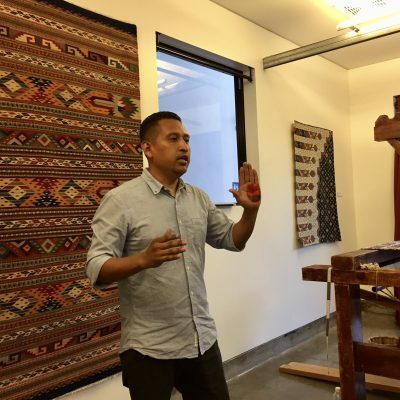 Their village, Teotitlán del Valle in Oaxaca, has been famous for the art of weaving for centuries. Nearby ruins that date back as far as 500 BC still stand decorated with the same patterns and symbols that are used in today’s designs. Exhibitions curated by Maiza Hixson, SBCAST Co-Director.